Vertical Gardens are great for urban areas with little to no back yard space. By planting upwards, you can increase the number of species in your collection and reduce the odds of your partner complaining about tripping over yet another pot next to the pathway. Hide away that ugly fence, air conditioner, *cough* neighbour *cough*with a vertical garden privacy screen. 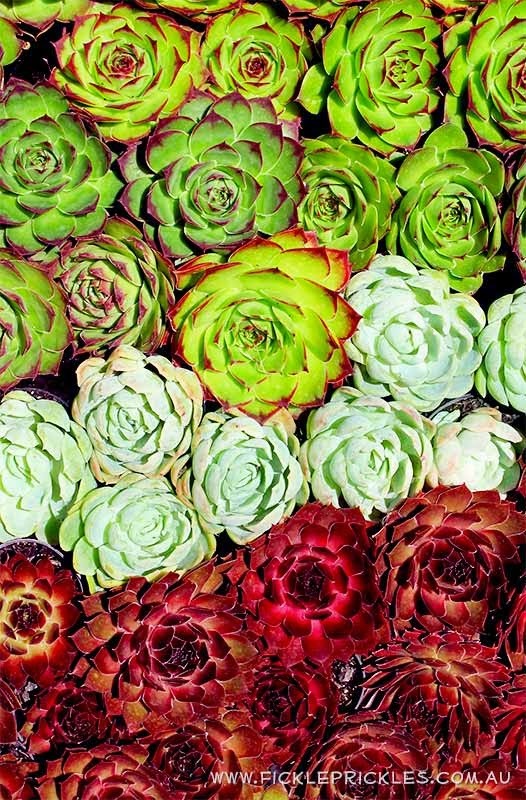 Whenever you plant succulents close together, you are creating a micro climate where each plant protects the others from severe heat, cold or any other undesirable elements. You are also creating a micro climate for the surrounding area - cool down a hot paved courtyard, or reduce the surrounding traffic noise of the area. Makeover the dreariest of spaces into a colourful wonderland! Succulents are a fantastic choice for vertical gardens as they have the ability to live in shallow soils and can adapt to all types of environmental conditions. Select different succulent colours, forms and textures to make your vertical garden really unique and individual.